Stephanie Gorski creates unique handcrafted jewelry. Her inspiration comes from forms of nature, particularly the ocean. Imperfect, broken, weathered wood, shells and stones represent timelessness and resiliency-qualities sought after in life. If you enjoy the beach and appreciate the beauty in small, unique objects, you will find comfort in owning and wearing some of her pieces. Stephanie has built up a large collection of findings from nature. Some she casts to form beautiful jewelry with pops of color. 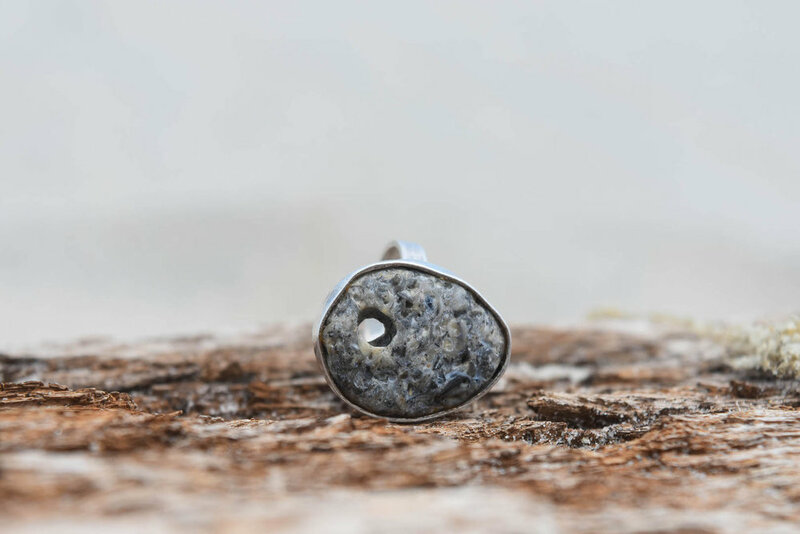 She has a particular passion of using the raw forms to connect with soldered sterling silver links. Each piece is a one of a kind wearable objet d'art.